Are you getting ready for a yard sale? Maybe just trying to de-clutter? 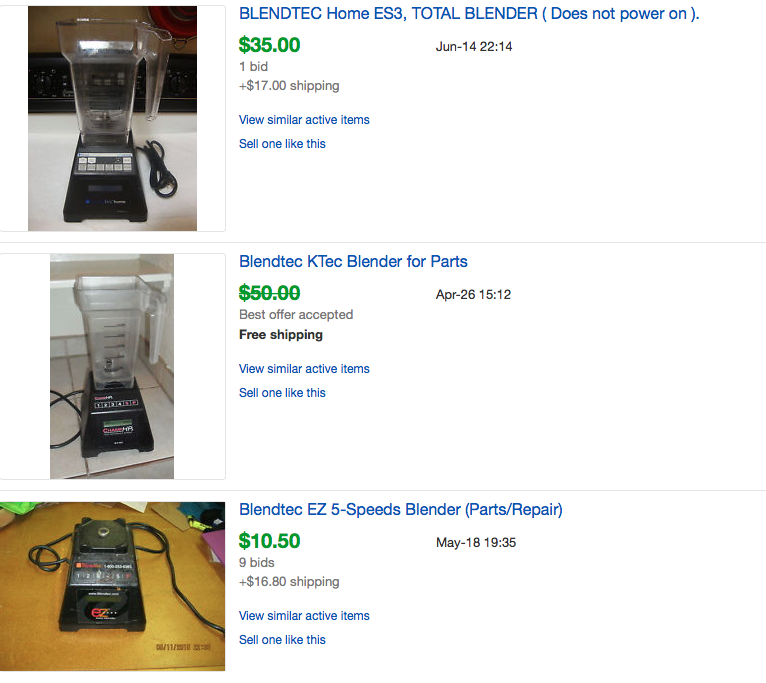 Before you throw out the ‘useless’ stuff kicking around your home, you might want to check this list of things you didn’t realize you could sell on eBay! 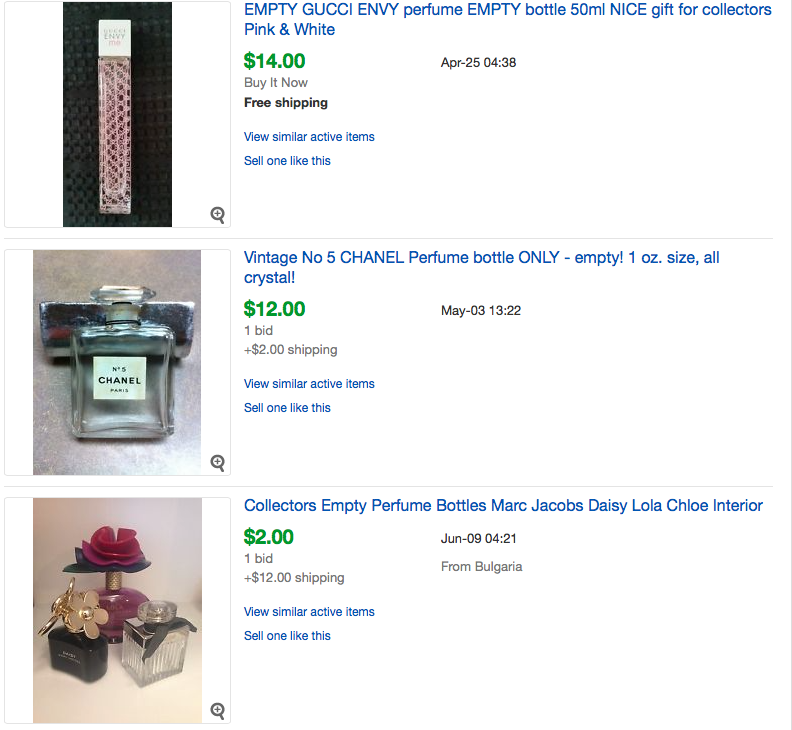 I did some research for you and found some surprising things that you can sell on Ebay. I took pictures of already SOLD listings, so you can see what kind of money people are getting for their items. 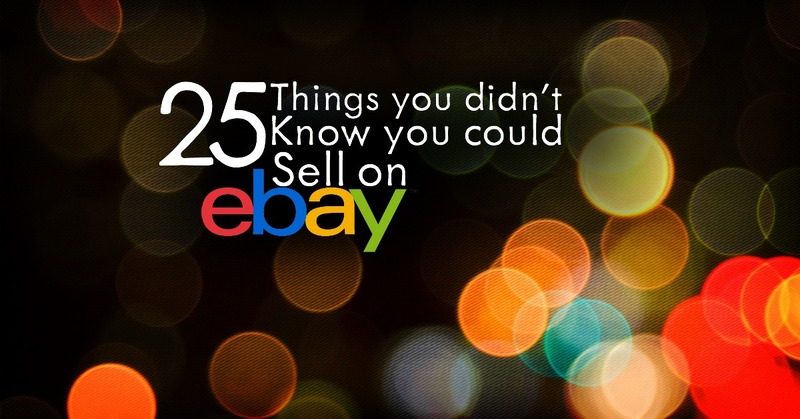 I came up with some fun things – 25 Things you didn't know you could sell on Ebay. What?! Yes, that’s right, empty boxes will sell on eBay, depending on what the boxes are for. Usually higher end product boxes sell well. A specific example could be empty American Girl Doll Boxes. Don’t believe me? 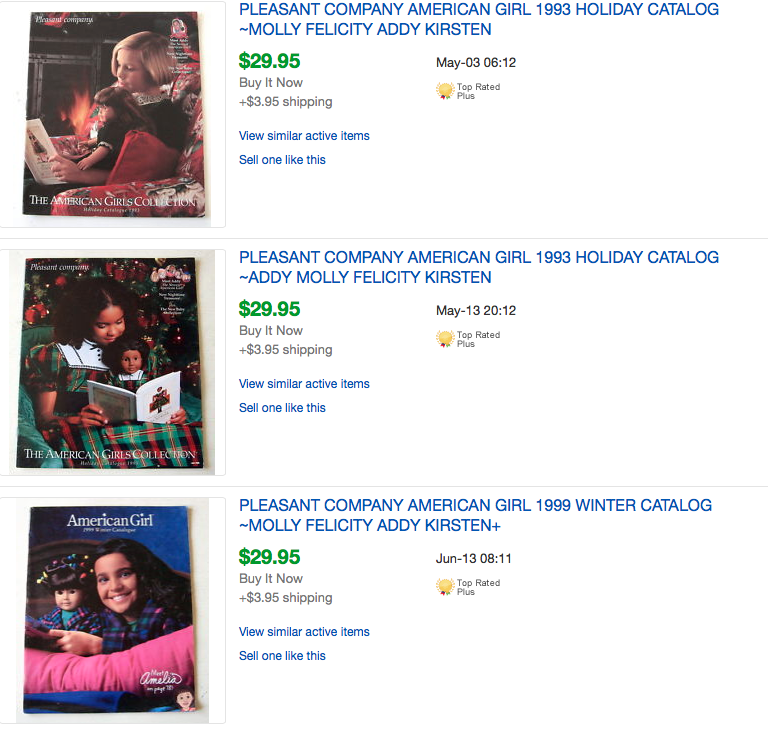 Here’s the proof: A search for empty: American Girl Doll boxes on Ebay and here is a specific listing where the box sold for $30.00! 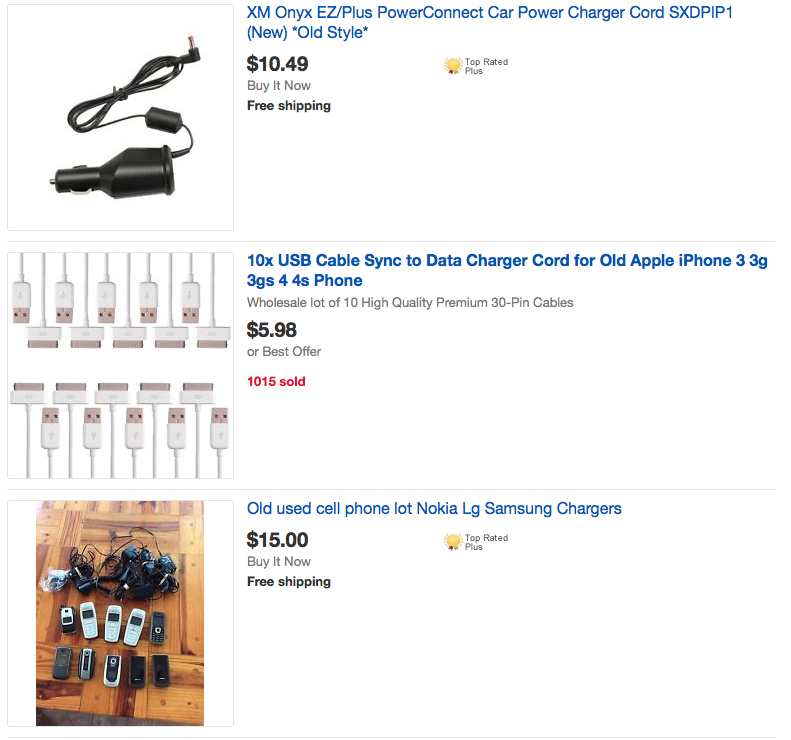 Old phone chargers (even your ANCIENT ones), power cords to video game systems, computers, usb cords, camera cords, etc. will often sell. They may not sell for a ton of money, but every little bit counts. If you were planning on throwing them out anyway, why not earn a few bucks! Since these items are small they are often easy to ship. Here is an example of a Playstation 3 Charging cord which sold for $4.00 (and some change). That's four bucks you might have just thrown out! Nowadays most instruction manuals can be found online. However, vintage manuals or even just older manuals may not be online. These can often be sold for some money. 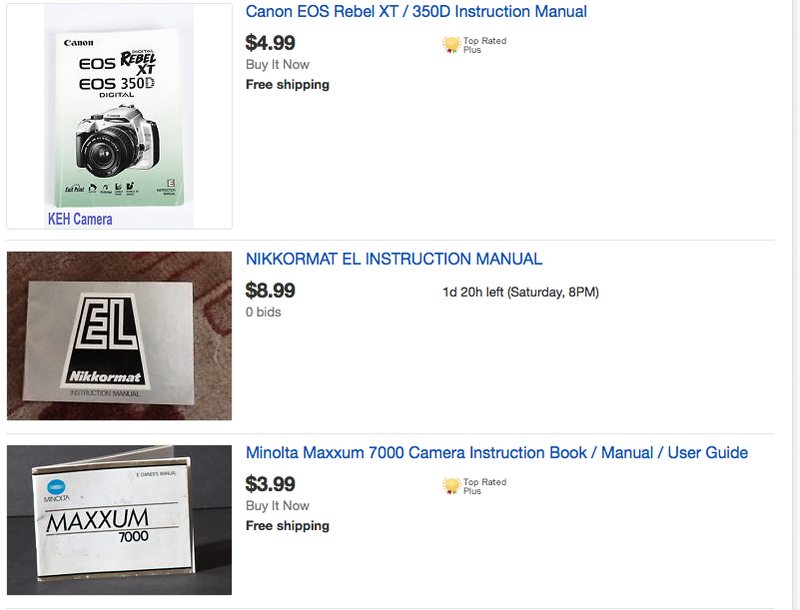 If you no longer even have that item the manual corresponds to, why not make some money off it! If you have an older computer, printer, or copier, it is possible that the drivers you need to install haven’t been put on the web. You can sell these old discs on eBay for some cash. 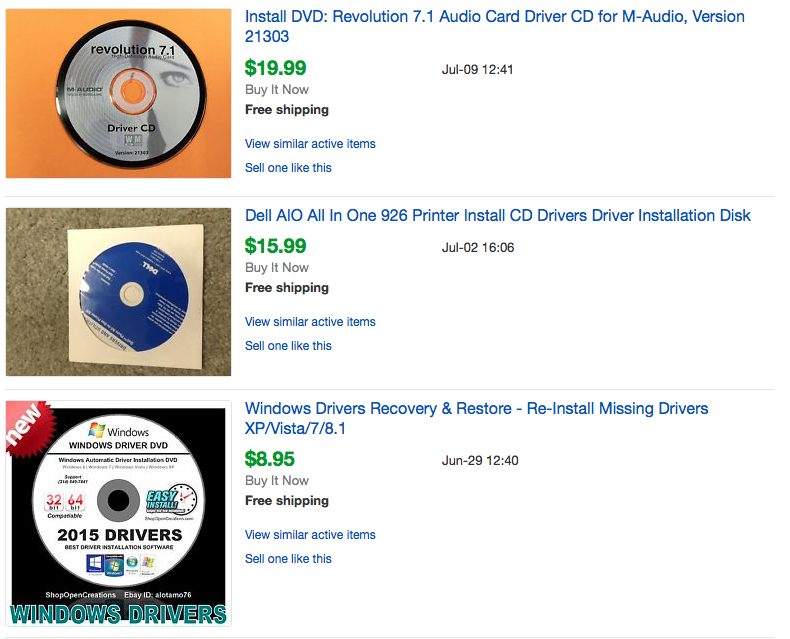 If your printer dies, before tossing out the instructions/CDs, check and see if they have any value on eBay. Do you have a Keurig at home? Or maybe your Keurig died and you’re choosing not to replace it? Sometimes we may fall into the trap of buying in bulk when it comes to certain items. 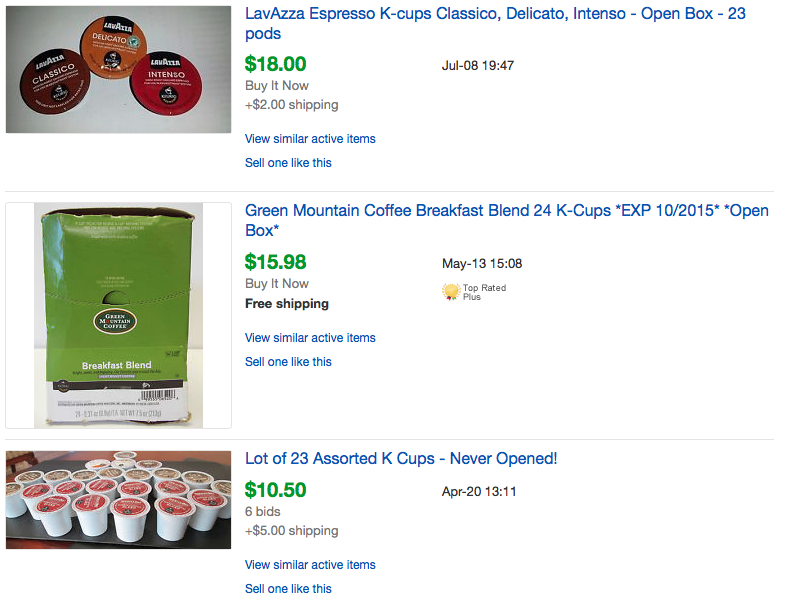 Often this is the best way to get a good deal with k-cups. Unfortunately if your machine dies or you simply do not like the flavor coffee, you are stuck with all these k-cups you can't use. These partial boxes can be sold on eBay. 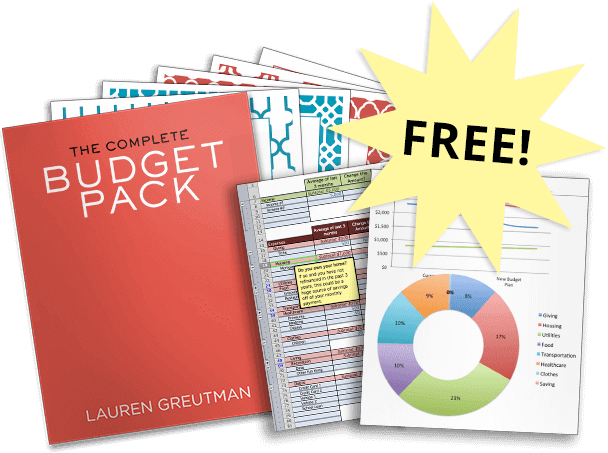 You may not be able to completely recoup what you spent, but anything is better than nothing. Be sure to display the expiration dates and explain that the boxes are not complete. You may receive questions as to why the boxes are opened so be prepared to let buyers know. 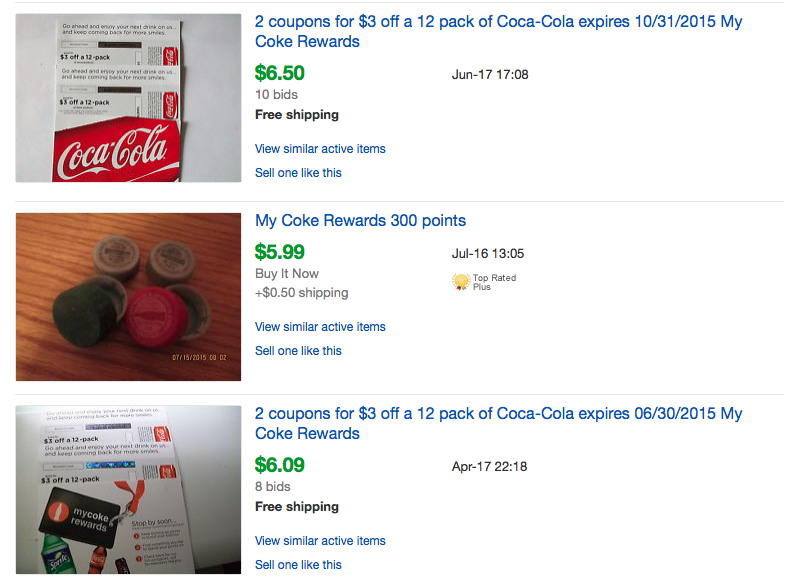 Continuing the trend of items that don’t necessarily sell for much…people sell huge baggies of the MyCoke Rewards caps and codes. If your family is a big soda drinker, but you don’t want to use the codes, why not sell them on eBay? This is another instance where you could potentially offer free shipping; you would just need to manually type the codes into a message to the buyer. Surprisingly enough, you can frequently find bundles of these on eBay. 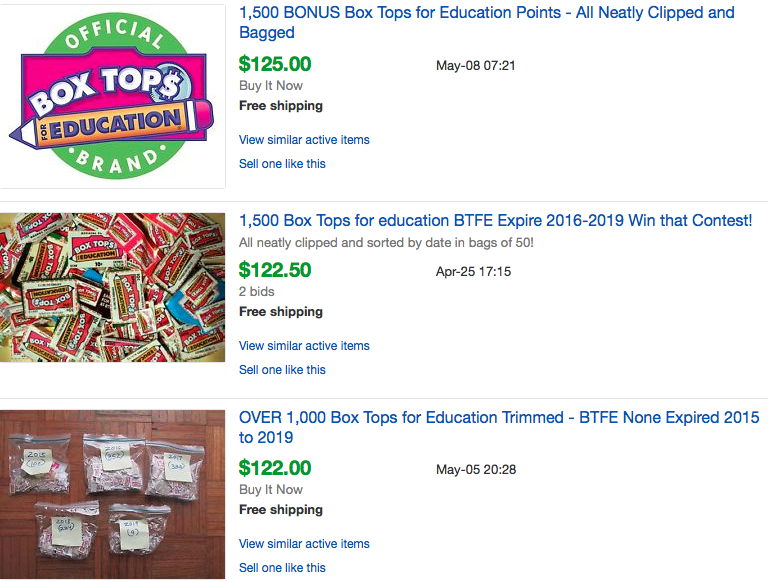 Some schools offer competitions and prizes to classes that collect the most, so parents are looking for cheap ways to get these codes. It’s wonderful if you choose to donate these codes to one of your local schools, but if you find yourself just throwing them out, maybe you’d be more tempted to clip them if you could earn some cash for them. 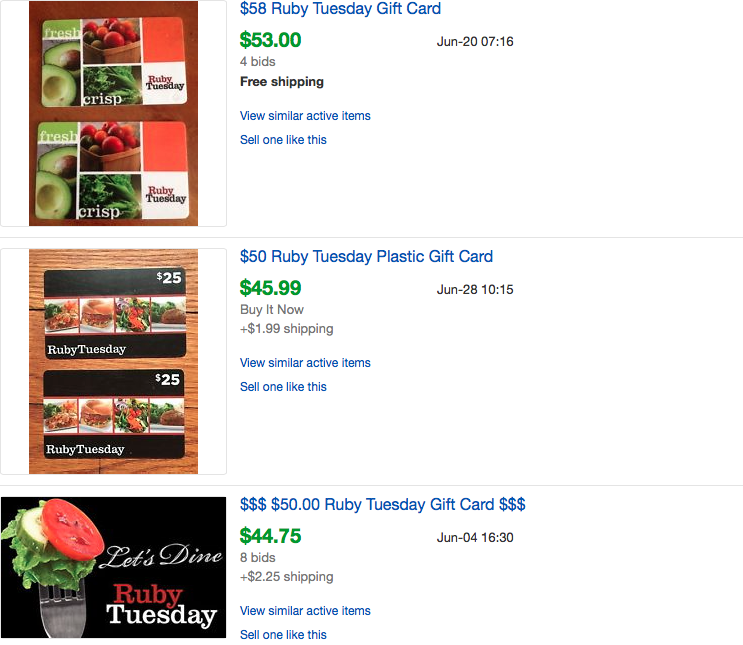 Have you ever gotten a gift card to a restaurant or store that you don’t particularly like? Maybe a relative gave you a gift card to some place that isn’t local. What do you do? You could re-gift the card to someone else. Or you can sell it on eBay. This also works with PARTIAL gift cards. If you only have a few dollars left, for example, people will still purchase them. They often do not sell for the full value, but can still be a way to keep those cards from sitting around and gathering dust. People purchase them for many reasons. Perhaps they can like saving a few bucks on the value of the card. Maybe they want to give that card to someone, but don’t have a way to get a card from that store. They may live in another country. You can offer free shipping on this if you want to email the buyer the code and pin number. Keep in mind you need to be EXACT in terms of how much is on the card. Sometimes the buyer might actually want the physical card also. When our televisions break and we replace them, the remotes may still work. 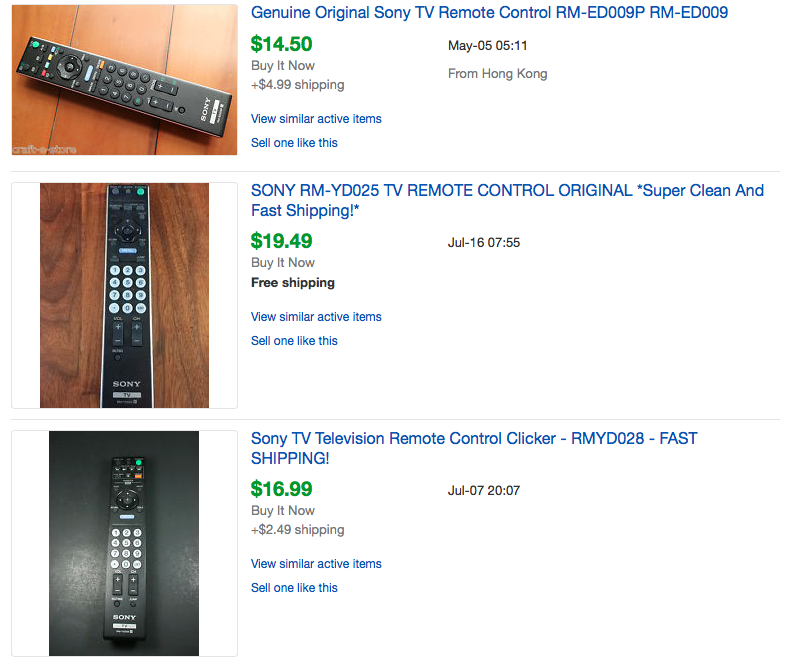 Rather than tossing the remotes out with the TV, check and see if they have any value on eBay. For every TV that dies, there may be someone out there who broke their remote. Check out these TV remotes for sale. It helps if you know the specific model TV the remote goes to. Be sure to specify the condition and whether or not you include batteries. Broken cellphones, laptops, video game systems, blenders, and other items can be sold on eBay for quite a bit of money. All you need to do is make sure it is clear that the item is NOT working and is intended for parts only. If you are particularly skilled, you can even dismantle items, such as vacuums, and sell the parts individually. However, there is also something you need to keep in mind. When selling devices for parts, consider your safety, identity, and personal information. If you sell an item for parts you are taking the risk that someone can fix that item. If you used the device for banking, purchasing items online, or anything like that, you may not want to sell the item in its entirety. A lot of times thrift stores throw out crafting supplies. However, on eBay and websites like Ravelry.com (you will need to create a free account if you wish to sell/use this site), you can find people looking for vintage patterns, modern patterns, knitting needles, thread, buttons, and much more. Yarn and material can be particularly popular because they are fairly unique and can be difficult to match if you can’t find the exact lot number. 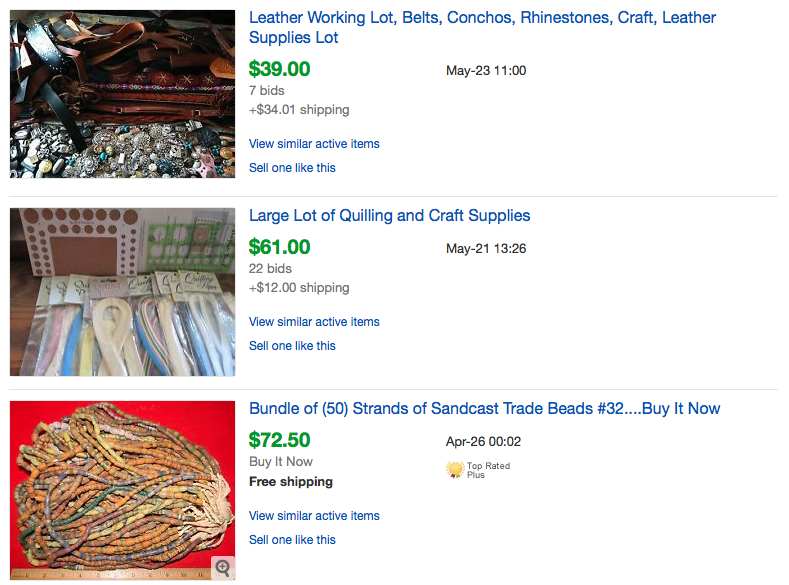 So before you toss out that lace and other sewing supplies, take a peek at the listing on eBay. Chances are when an item gets discontinued, there is someone out there still using the items or who are looking for the parts. Be sure to check it out on eBay before you toss the item in your yard sale. 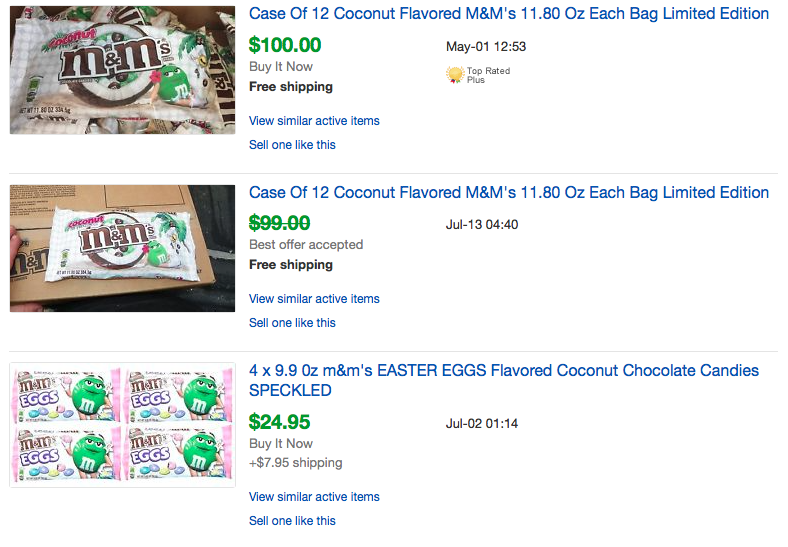 Coconut M&M's are selling for CRAZY prices on Ebay right now! This is also a great way to unload old toys. Sometimes people don't start collecting a certain toy line or their kids don't get interested until after the item is discontinued. 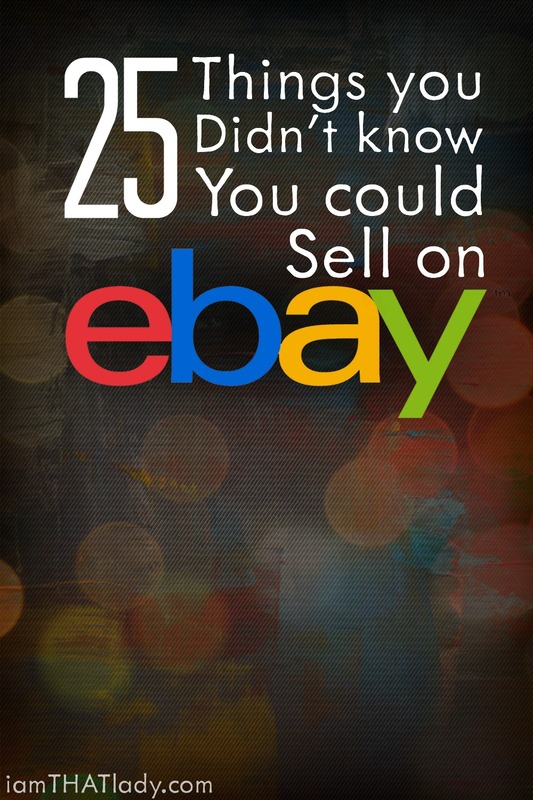 Depending on the item, even if it is damaged or missing pieces, the item can still be sold on eBay. Just make sure you're honest. Seriously, 10 large pine cones can get you $6. Check out these pine cones! The best thing about this is if you live in the country, near woods, or have pine trees on your property, they're free! 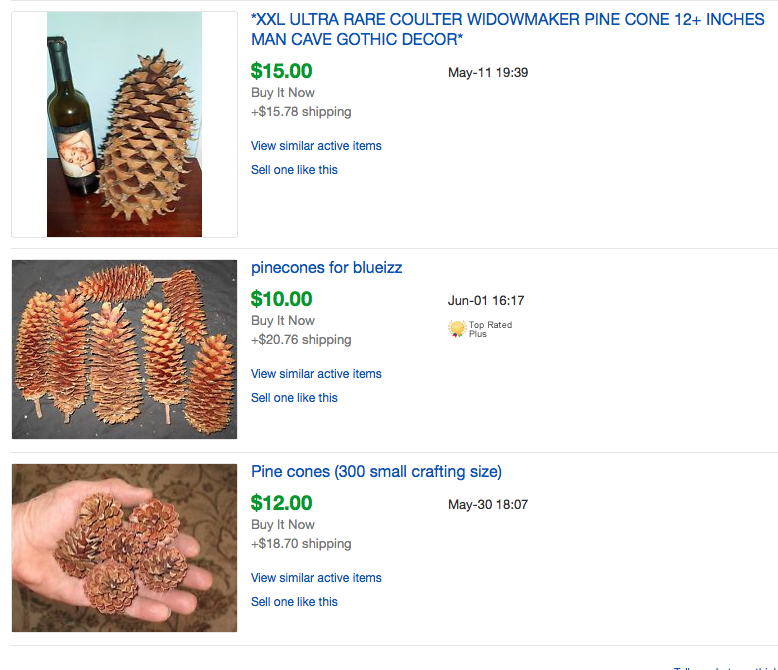 Pine cones are fairly light weight which makes them nice choices in regards to shipping. Think about other things you may have around your property or area such as real fall leaves which have been pressed/dried. Anyone can do that! Did you realize you can sell your used clothes on eBay? Keep in mind that this might not earn you big bucks, but it can often earn you more than you would at your local yard sale. Obviously better name brands sell for more money, however, commonly used items in great condition sell very well. For example, items such as the standard black dress pants may have a good market because many people need them but don't want to or can't afford the prices in the store. 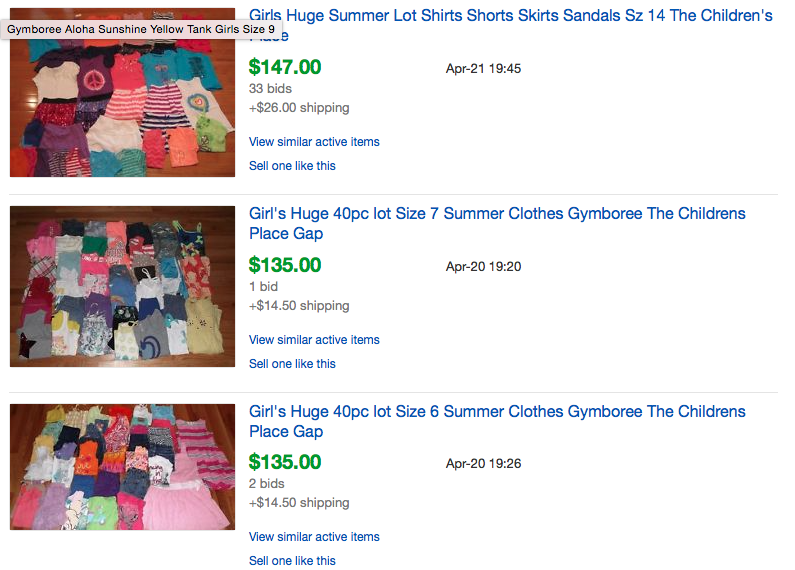 Children's clothing tends to sell exceptionally well on eBay (again it can depend on the brand). You probably think I'm joking. I'm totally serious. 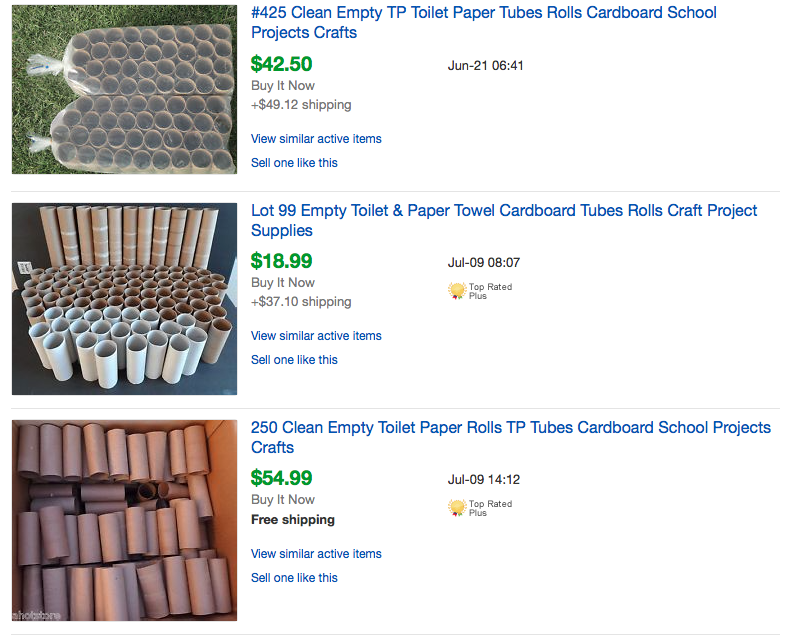 Empty toilet paper rolls will sell on eBay because they make great craft supplies for kids projects. They may not sell for a ton of money…but really what were you planning on doing with them anyway? 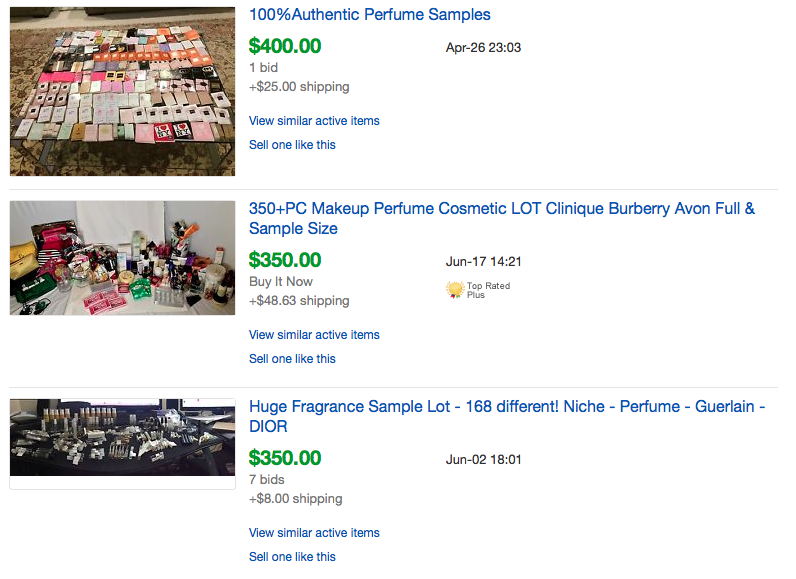 Whether someone has a favorite product or is looking to try something new, perfume and makeup samples can be found for sale on eBay. Just be clear with the name and age of the product. How often do we get samples that we have no intention of using so we just toss them out? Seriously. 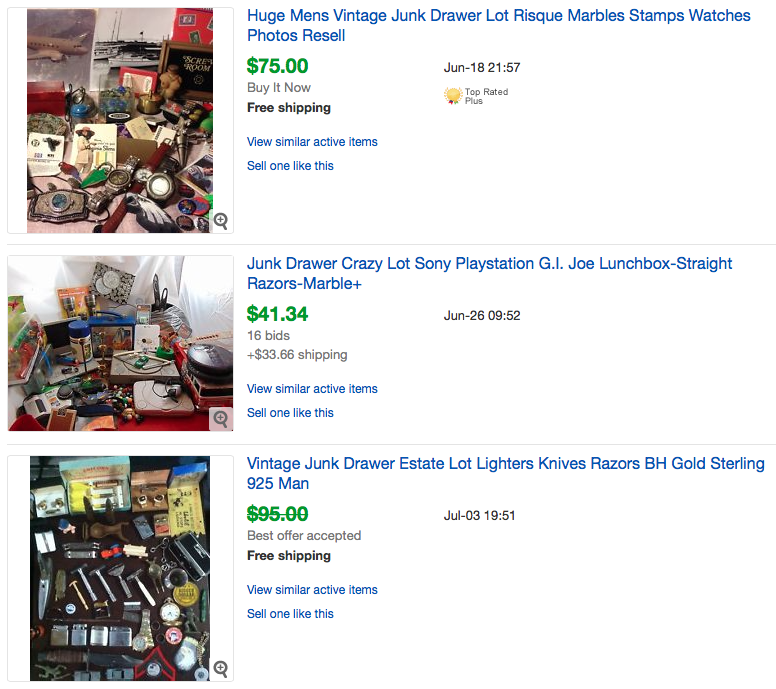 Items with the words “junk drawer” are plentiful and searched for on eBay. Remember the saying, one person's trash is another person's treasure? Before you dump that junk drawer in the garbage, check and see if anyone will snag it online. Keep in mind this can also work for items that you may not recognize. Simply include the words junk or miscellaneous in the title. Yes, that's right. 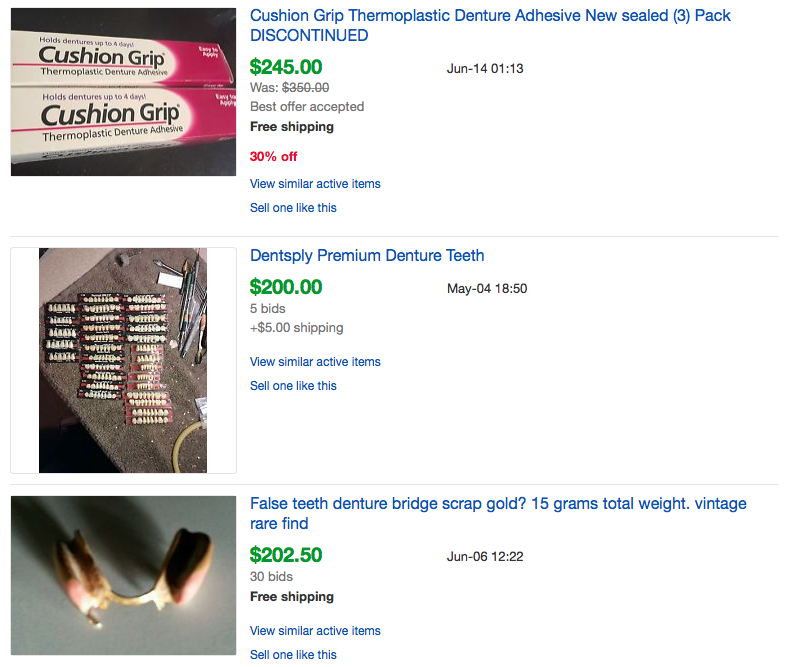 Dentures can (and do) sell on eBay. So if you come across some dentures, maybe you should consider listing them on eBay. If you don't have the dentures themselves, denture supplies will also sell. Such as the cases, cleaners, and other supplies. These are huge hits for crafters, weddings, and much more. Often these bottles can sell for good cash. What a great idea for something you'd otherwise just toss. Think about other containers that might be able to be sold. Any type of container (whether it is glass or plastic) may have a re-sell value. These as well as other vintage clothing items can be hot sellers on eBay. You might be surprised how frequently these items are bought and sold. Before you take all of those old clothes to the thrift store or give them up as a lost cause, be sure to search eBay. New ones, old ones, current or vintage. Magazines can sell incredibly well depending on which magazine, condition, featured articles, and more. Even ‘normal' or ‘boring' magazines will sell to crafters or or collectors. Be sure to list any specifics in terms of the name, date, volume/issue number, and condition. This information will help if someone is seeking one specific issue. Also, some CATALOGS will sell, check out these American Girl Doll catalogs. Say what? 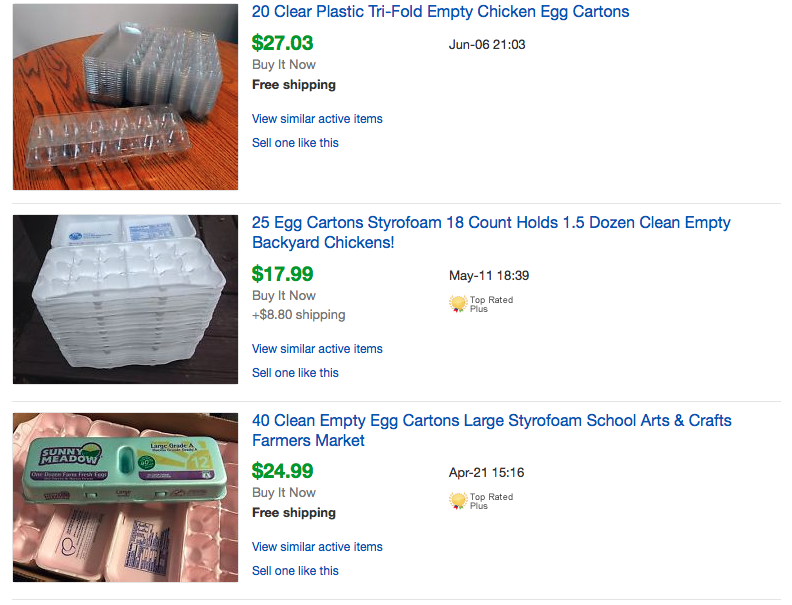 Yes, empty egg cartons will sell on eBay. Why exactly? They can be used for a variety of things such as crafts or for people who sell eggs. Since they are light weight and can easily stack inside one another they are another item that is fairly easy to ship. 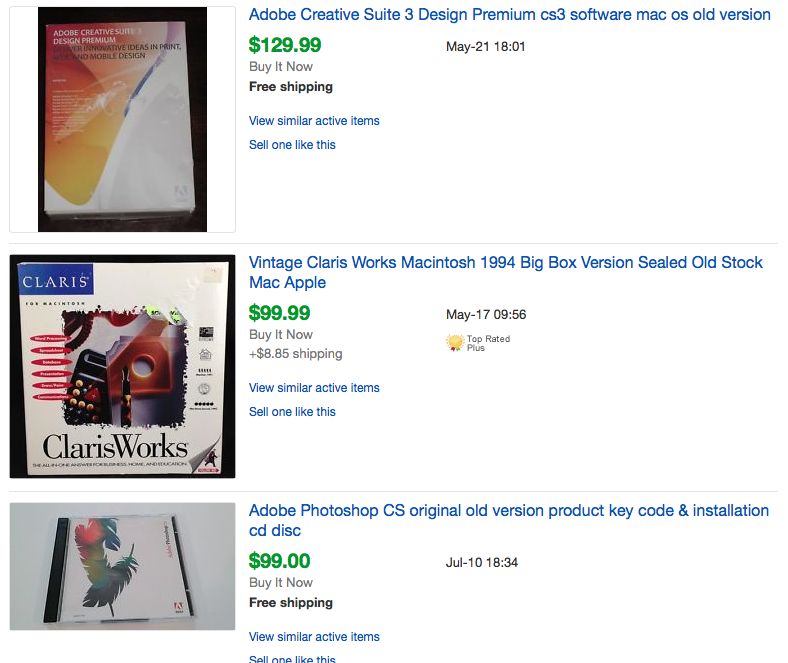 Before you toss out all those old computer games and other CDs from your old devices, take a peek at eBay. It can be very hard to find some of these old CDs and programs. You don't want to risk losing out on some easy cash! As an added bonus, even if you no longer have the disc, empty CD and DVD cases can also be sold on eBay. Or other themed items. Are you tired of spending lots of money trying to complete your perfect kitchen theme? Chances are other people feel the same way. 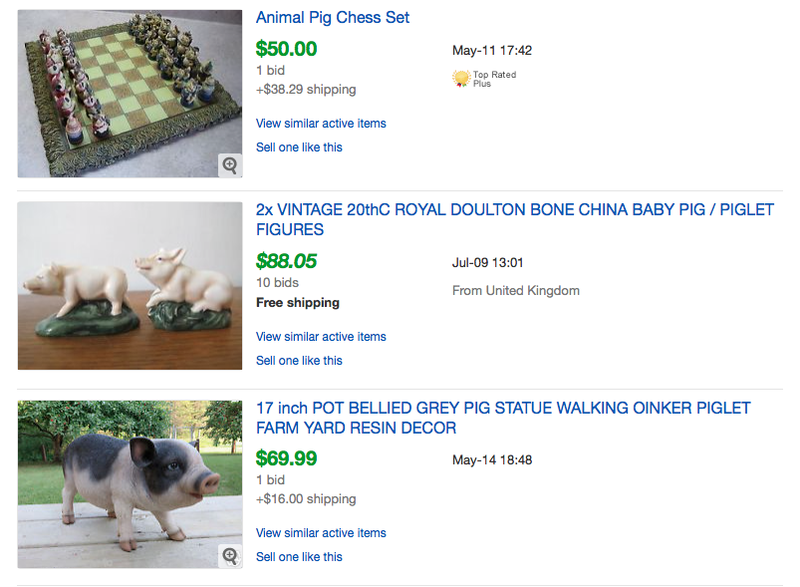 Before you give away all those pig (or rooster, or cow, or horse, or well you get the item) themed items take a peek on eBay and see what they're going for. Maybe consider making it a ‘lot' of themed items rather than individual items. You'd be surprised what's selling. If you're anything like me, these things seem to just pile up. Go on a trip, get a mug. Friends give you mugs because you drink coffee. Someone sees a coffee mug with your name on it. You get the idea. 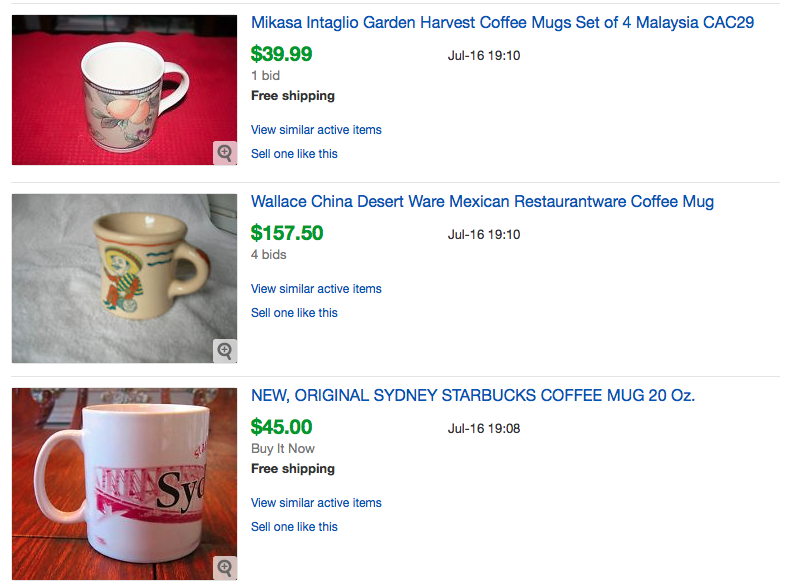 Old coffee mugs can be sold on eBay because somewhere someone might be looking for that exact mug. People often like to replace their favorite items if they break or wear out. Your mug doesn't necessarily need to be a collectible. Some of the most popular coffee mugs to discover are old Starbucks mugs. Next time you are walking around your thrift store, check out the mug section. These are just some of the more unique items you can sell on eBay. Before you get rid of all those dust collectors make sure you aren’t losing out one some extra cash. Which one of these surprised you the most? The dentures one caught my pretty off guard. I have 30 years worth of junk my husband is a Horder and and I sorta am to. We have 3 80ft pine trees in our yard. A giant maple tree. I used to be a coin collector I have all kind of coins.I also have 2 nice saude weekender’s which is skirt jacket and slacks one in green and the other is gold yellow which ever you prefer.. lots of Avon stuff and old dishes. Also a old car phone have old mc Donald toy’s include in the very first ones. Apple computer boxes also sell. Sometimes fooled by the ad – a computer for $20! Broken toys/missing pieces of kid’s toys… many you can sell off as ‘replacement’ pieces to people that have lost pieces and want a complete toy again. I recently sold Leap Frog animal pieces, when my talking part broke…. sold within a week, not a ton, but something, and also kept it out of trash. Junk drawer item sounds interesting to me. I have coolers full of junk drawer items. My wife would spend spend spend on anything and everything. over the years things kept adding up. I always just dumped the junk drawer in boxes. I ended up dumping them into full size coolers. 2 of the collers are jammed to the top. How much would that go for on ebay. I can bet anything that u may need would be in this mess of belonging. I seen perfumes, tape, utility knives, makeup glue, pipes, rooling machines,shoestrings/polish, make ups, pens/pencils, sewing thread and needles, and much much more. I can go on and on and on………..Just saying if u need it, 9 x out of 10 its in there. Junk drawer items that is.